Last summer we turned midtown's most famous patch of grass into a football field complete with yard lines, bleachers, fans, famous players, cheerleaders, end zones, scoreboards... you name it. 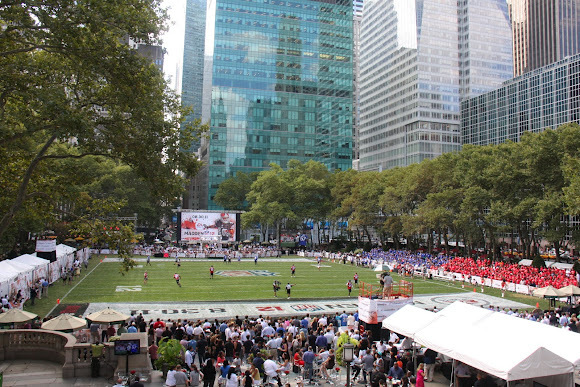 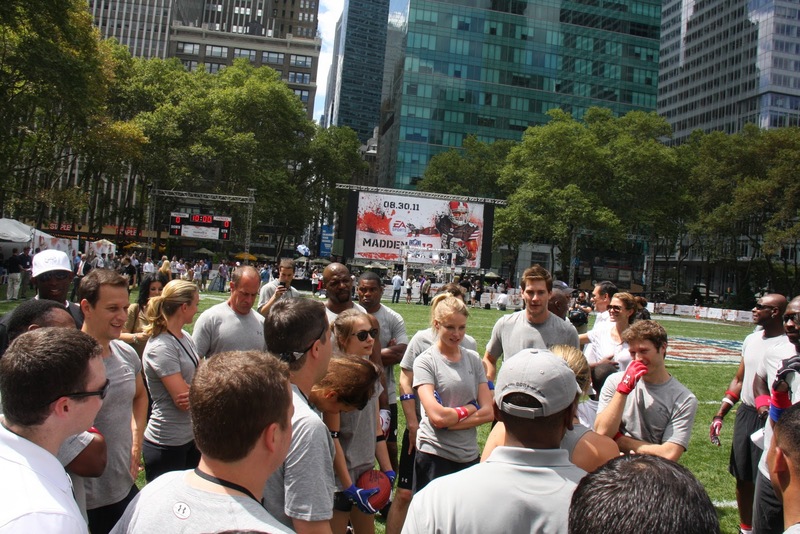 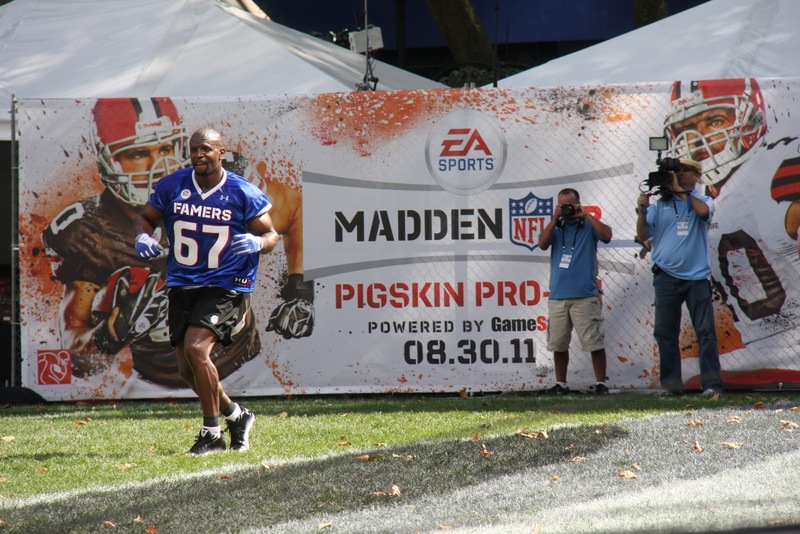 As the excitement builds towards football's main event this Sunday, we take a behind the scenes look at the Madden NFL 12 Pigskin Pro-Am that was filmed in Bryant Park on July 27, 2011. To celebrate the release of the Madden NFL game, EA Sports invited NFL legends to join forces with some very brave celebrities for a flag football game on the lawn. 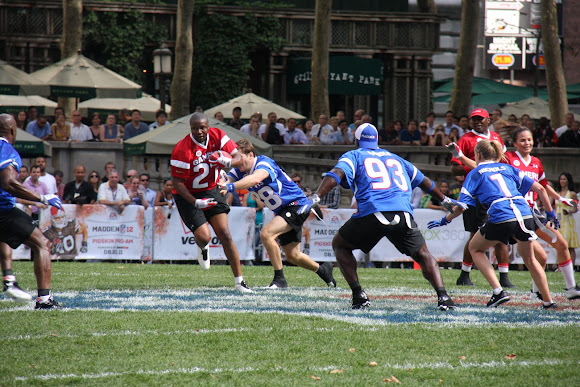 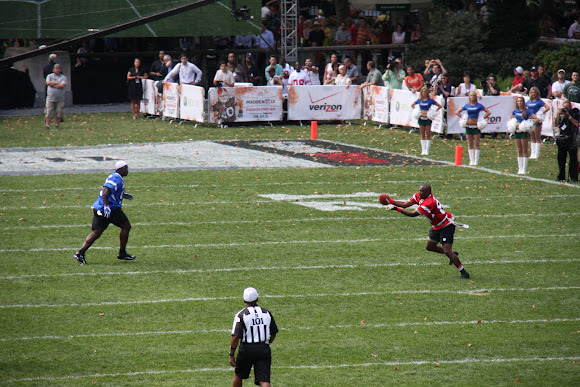 Each team was made up of both pros and celebs, with Dan Marino as the captain of the Gamers in red and Kurt Warner leading the Famers in blue. 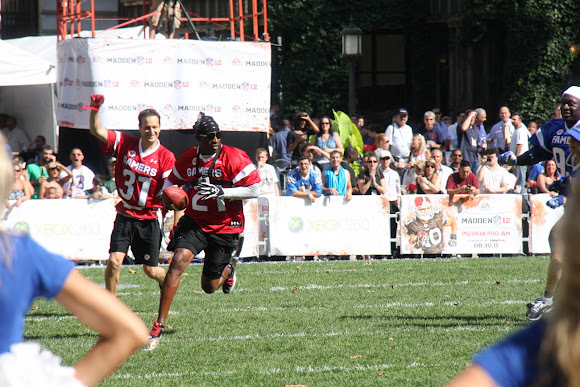 The Famers got off to an early lead, but the Gamers came back strong to win the game with a few key interceptions by Deion Sanders, who was chosen as the MVP. 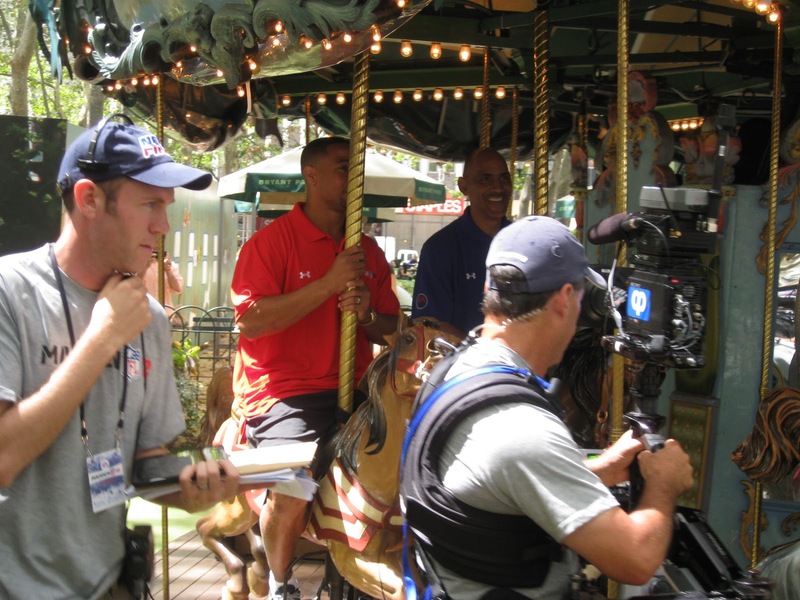 A few of the pre-game television spots even featured Tony Dungy and Rodney Harrison trying out some of our park amenities like Ping Pong and Le Carrousel. 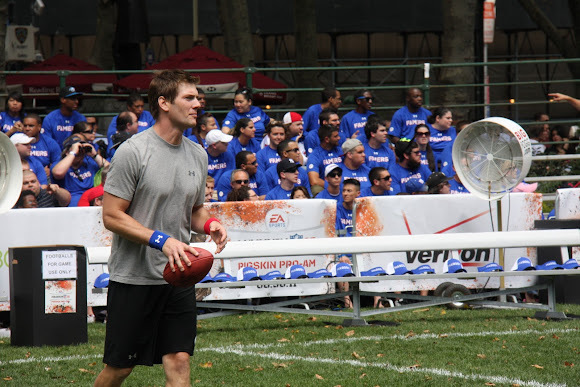 Click through for actions shots, cheerleaders, legends, and victory dances. Whoever you cheer for this weekend, may you have a day of football fun like we did in the park this summer. 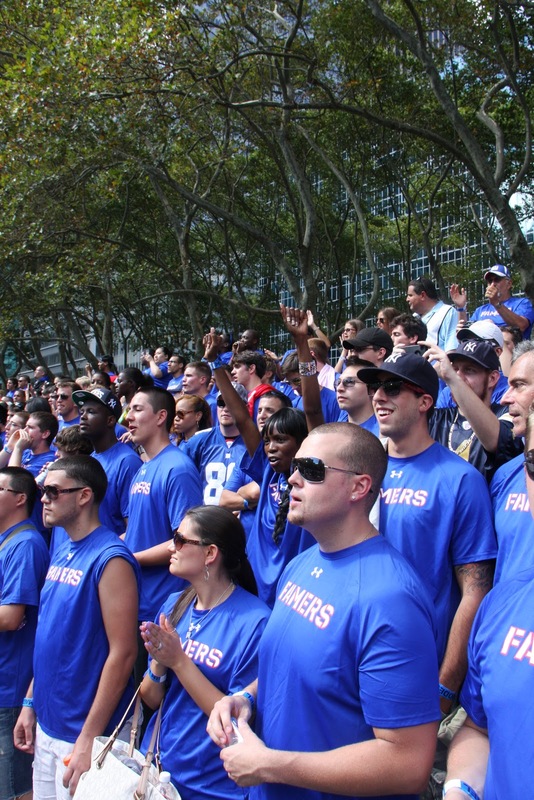 Just kidding... we're a New York park, rooting for the home team. Go New York Giants!